Attack Theatre. Photo: John Colombo. May ushers in the season of outdoor fun. In between celebrating Cinco de Mayo (we recommend Las Palmas’ event in Beechview) and mastering your grilling game on Memorial Day, we’ve got 11 happenings not to miss during the merry month of May. Bike spoke decorations, potlucks, water balloon fights, rounds of four square—all activities that recall street-long block parties. The cherished community tradition is being reinvented in a series of free, mini-arts festivals celebrating Northside neighborhoods. Debuting in Spring Hill, The Block Party will animate Asylgärten Park, a large lot located at 2000 Rockledge St. that’s being renovated as a community gathering space. Picturesque Spring Hill is known for its varied topography, natural underground springs and German heritage. Free and open to all ages, The Block Party will showcase bands featuring Spring Hill residents, including Delicious Pastries, Brewer’s Row and The Get Down Gang. 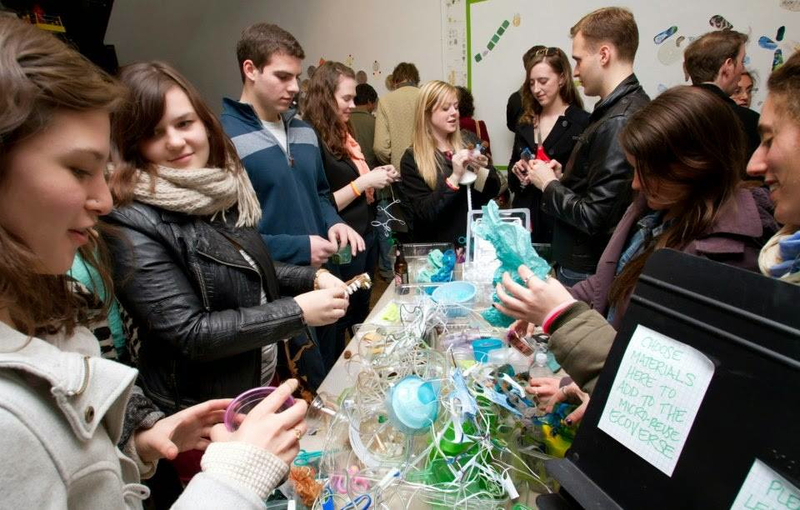 Attendees can participate in hands-on activities with Pittsburgh Center for Creative Reuse, Little House Big Art, Artists Image Resource and the Mattress Factory, see archival photos from Allegheny City Historic Gallery and grab springtime fare from the Frankturary and Cool Beans food trucks. Free beer will be available from Penn Brewery and Spring Hill Brewing. If there’s one Pittsburgh event that embodies the motto, “art can change lives,” it has to be PERSAD’s signature fundraiser. 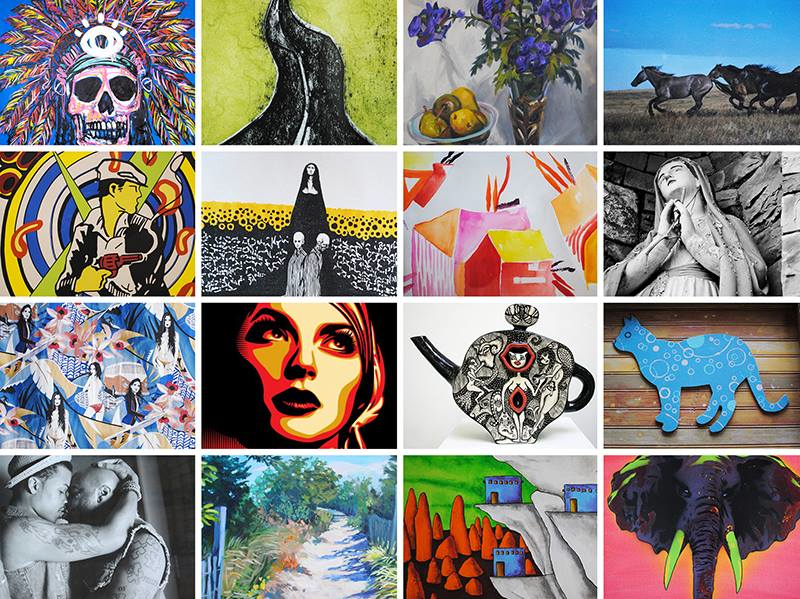 Enact change—and kickstart your own personal art collection—as you bid on one-of-a-kind works such as paintings, sculpture, photography, furniture and jewelry. Working to improve the well-being of local and regional LGBTQ and HIV/AIDS communities, PERSAD’s highly anticipated Art for Change benefit bash—which raised $260,000 in 2015—will support the center’s Free Card Fund. Boasting more than 200 objects, this year’s impressive auction represents work from Pittsburgh to Paris—with internationally renowned figures and local favorites, such as Shepard Fairey, Baron Batch, Kenneth Batista, Bob Freyer (aka Durty Art), Ruth Hendricks, Nicole Kircher, and Mark Perrott. In between bidding, change-makers will enjoy delicious fare crafted by top Pittsburgh eateries, including Legume, E2, Superior Motors and Bar Marco. Purchase tickets. Spring is a time of renewal and one of the best places to reboot your creativity is at the Geek Art/Green Innovator’s Festival. Dubbed GA/GI, the homegrown happening is teaming up with Unblurred to present a super-sized gallery crawl at venues spanning 4800-5500 Penn Ave. Staunchly grassroots and hands-on, GA/GI serves as a platform for cutting-edge projects, beta testing new ideas, hands-on experimentation and creative risk-taking. Read: this is your chance to geek out and go green. 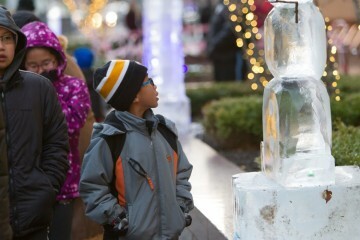 Discover the Japanese art of using miniature trees during pop-up events led by Pittsburgh’s Bonsai Society, shop local and late-night at the Garfield Night Market, and head to Pittsburgh Glass Center to check out an installation combining dance, ecology, tech, and storytelling. Explore the sights and sounds of pre-war Syria at The Irma Freeman Center, and learn about Daniel McCloskey’s Free Money literacy project, which is distributing 35,000 comics throughout the East End. 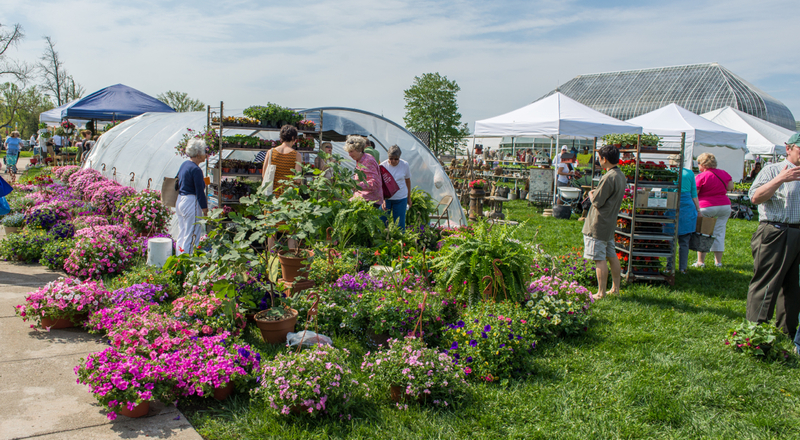 Kick off the planting season at Phipps‘ 80th edition of its iconic May Market. A one-stop-shop for the region’s finest garden and home goods, the plant sale of ultra-green proportions is free and open to the public. Setting up shop across Phipps’ expansive front lawn, the blooming bonanza brings together 40-plus vendors, horticulturists, garden clubs, nurseries, farms and artisans. Featured will be organic seedlings, unusual tropical varieties, user-friendly perennials, sustainable, native and rain garden plants, terrarium supplies, fresh produce, and botanical art. Market-goers will be treated to irresistible, fondant-dipped strawberries, and can chat with Master Gardeners and Phipps staff, who will be on hand sharing tips and resources. Added bonus: on May 6, the public will receive half-price admission to Phipps’ whimsical Summer Flower Show and enchanting Butterfly Forest. Look out for the yellow-and-black striped zebra longwings and orange and black monarchs, and if you’re lucky, a winged wonder might even land on your shoulder. 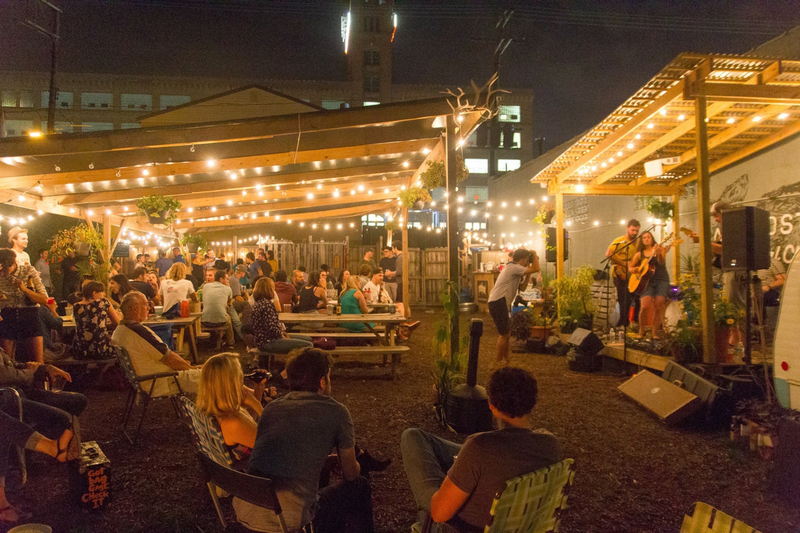 Summer is arriving one month early, thanks to Pittsburgh’s sweetest urban oasis. A cozy green space where city dwellers can chill, grill and keep it real, Bayardstown Social Club (BSC) ushers in its fourth fair-weather season of outdoor fun. Unwind around a campfire with the skyline as your backdrop, compete in raucous rounds of stump, and make new friends. 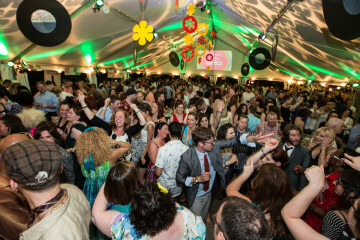 Providing the soundtrack under the stars will be Danny Rectenwald, DJ Selecta and an opening ceremony led by Cordelia Rogers’ performance of the “Bayardstown Blues.” Fuel up at the on-site Mac & Gold and Berlin Street Foods trucks, and wash it all down with libations from Sweetwater Brewing. 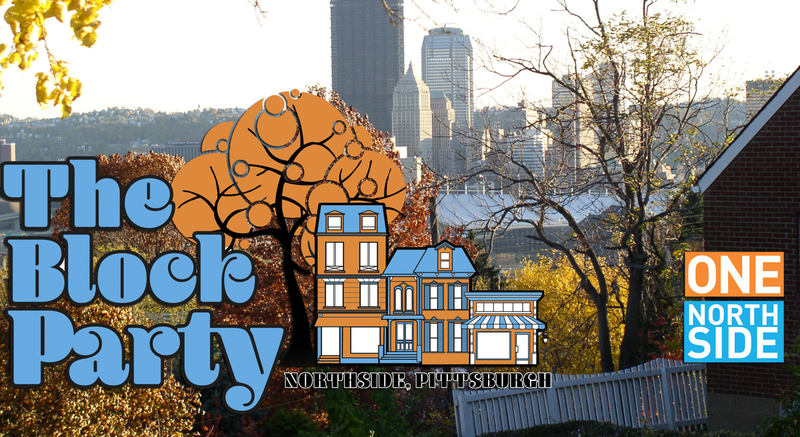 What began as an experiment in 2013 has helped to transform Pittsburgh’s social scene with 1,000-plus members. The brainchild of innovation studio Deeplocal—and managed by local events guru Pete Spynda—the communal BYOB plot boasts picnic tables, grills, fire pits, boom boxes, shade and rain cover, and a performance stage. Get in on all of the summer fun this summer by picking up a membership, along with cool merch featuring BSC’s logo—a clever tribute to the 19th-century street gang the Bayardstown Rats. This is your one-stop shop for all things cool, collectible and kitsch. Whether you’re looking for a Fiestaware plate, a floral frock for a spring cocktail soirée or a mid-century modern conversation piece, don’t miss this carefully curated, locally produced retro marketplace. 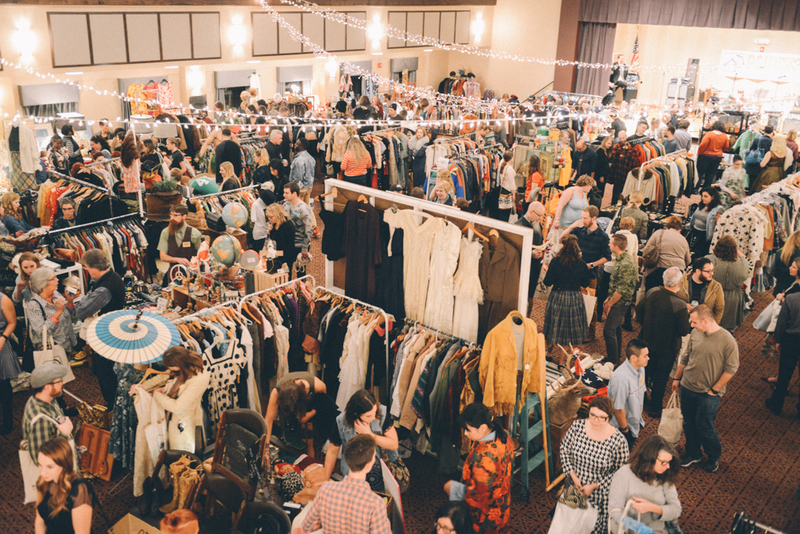 More than 35 local and regional sellers will showcase hard-to-find treasures under one roof— from fashion, accessories and home décor, to art, comics and furniture. Mixers can pop into the Pittsburgh Camper Booth to snap selfies and buy lunch from Espresso a Mano, Pgh Po’boy, Berlin Street Food and Leona’s Ice Cream Sandwiches. Spinning vintage-inspired sets will be local DJs SMI, Jim Lingo and Anthony Badamo. Want first dibs on the goods? Grab tickets for Friday’s exclusive “Night Owl” event to enjoy after-hours, pre-sale shopping, live jazz by the Josh Dunlevy Quartet, cocktails from Allegheny Wine Mixer, treats from Leena’s Food Truck, a gift bag, and a pass for Saturday’s main affair.